Glove-clad Theo (Kate Siegel) may be the one with the flashy psychic ability on Netflix’s “The Haunting of Hill House,” but she isn’t the only Crain child in touch with the other side. 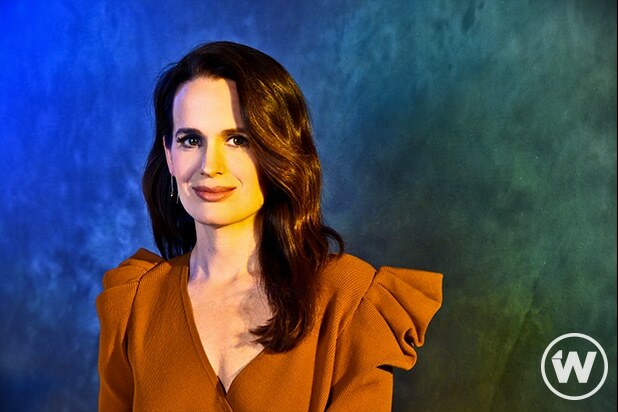 Though you may have only seen a couple scenes featuring Shirley’s (Elizabeth Reaser) foreboding sleep talking — which resulted in a spot on prediction about Nellie and the Red Room — Reaser told TheWrap she thinks those moments indicate the family’s eldest daughter was gifted like her sister. And the reason we probably didn’t learn more about her psychic connection was Shirley’s refusal to embrace anything that might keep her from feeling normal. In the interview above, Reaser tells TheWrap Shirley’s sleep talking “was such a cool thing that went largely unexplored in the story — even in the beginning. “In the pilot, they talk about [how] young Shirley is saying stuff in her sleep, and then it sort of cuts to me waking up in the middle of the night saying, ‘Nellie’s in the red room,'” she said. “The Haunting of Hill House” Season 1 is available for streaming now on Netflix.